This 9 1/2" x 13" book features statistics and results from 1922-2014. 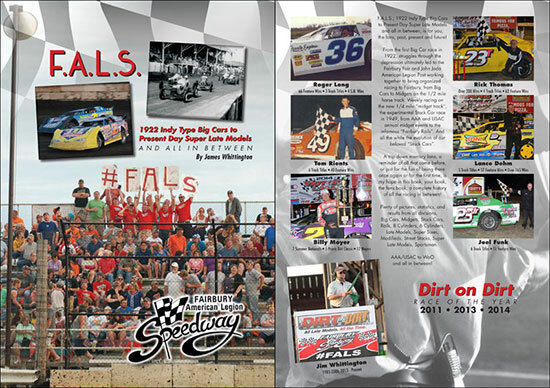 With 230 pages and nearly 200 pictures, this book is a must have for every F.A.L.S. fan! Also available at the track for $20.00. PayPal account not required to order. Check or money order (in the amount of $28.45) accepted. Include your email address when mailing to receive tracking #. More items will be added to the store soon!